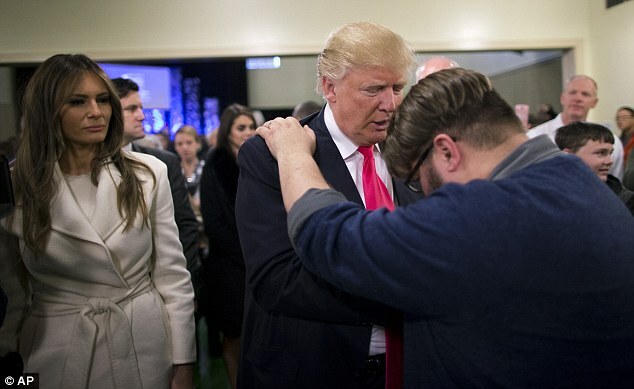 Now We’re Not Allowed To Lay Hands On People In Prayer? The hypocrisy from some in the media is deafening! The other day, Drudge ran with headlining what he felt was evidence that some think Ted Cruz is a gift from God. That he’s the anointed one. Being the curious type I had to check out the links. What I found was a far stretch from the truth. They were links to a few YouTube videos where Cruz’s father was being interviewed about Ted’s choice to be in the election. 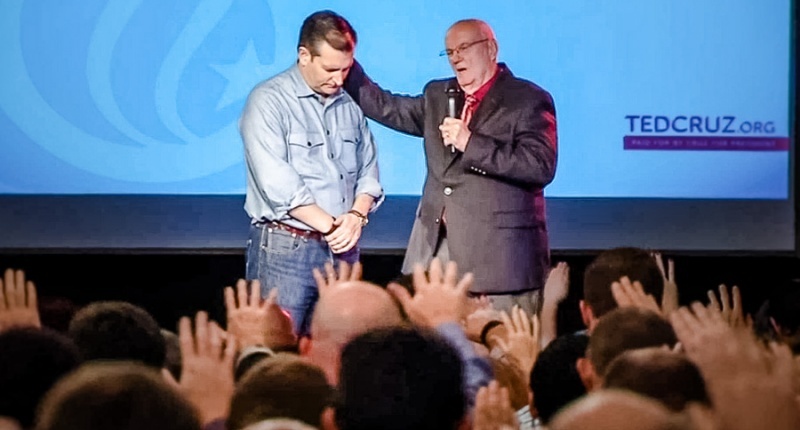 If I recall correctly, Cruz spent a few months praying about if he should run or not. What I want to point out is the hypocrisy and outright propagandist tactic that happened on Drudge. Since everyone knows that photos speak a thousand words, let’s just look at a few. Not so bad when it’s your guy in the race. 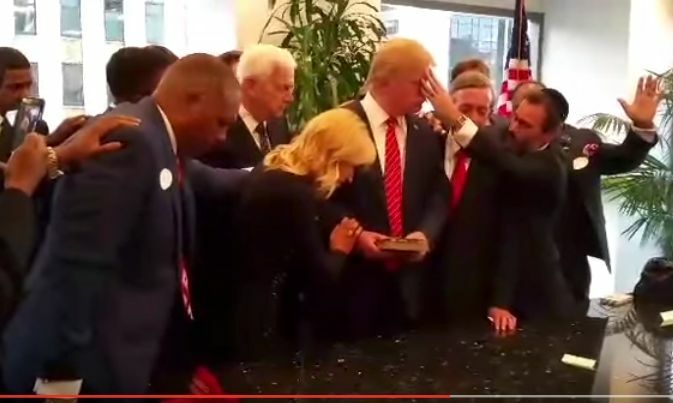 Just wondering if it’s okay to ‘anoint’ or pray over a candidate other than who you’re working for? Asking for a friend. Kind of has a ring to it don’t you think? Hang in, yes, there’s more. 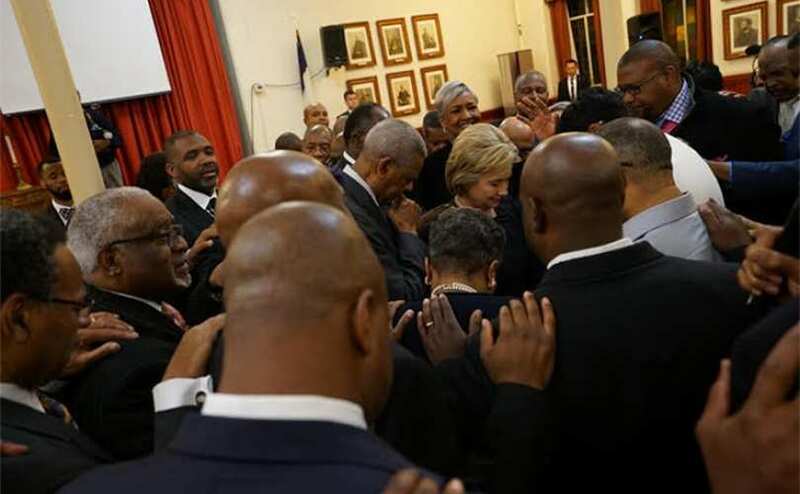 What if someone tried the whole ‘anointed’ thing on Hillary Clinton? Say it’s not so! Okay, well maybe that one’s not far off from the truth. Kidding. I kid. But seriously, what is wrong with placing your hands on another offering a prayer? It’s only bad when the only viable threat to your guy winning has it happen to him. 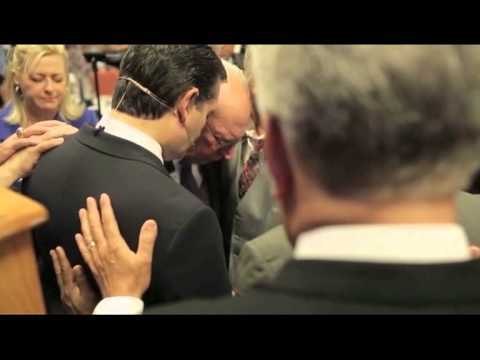 We all know Ted Cruz is an unapologetic Christian. He’s not afraid to talk about his faith, or put it on the line. Oh my! That one is so damning. Look how many hands are involved! His father is even there. Look, it’s easy to get caught up in the hype of one candidate over another. But it’s the job of the media to report the facts. Some do it better than others. Some just write their own headlines to other’s work. On the other hand, it’s just as easy to go out there and verify what you are reading or hearing as truth or fiction. Beware the propaganda and click bait by some out there. Always do some homework! 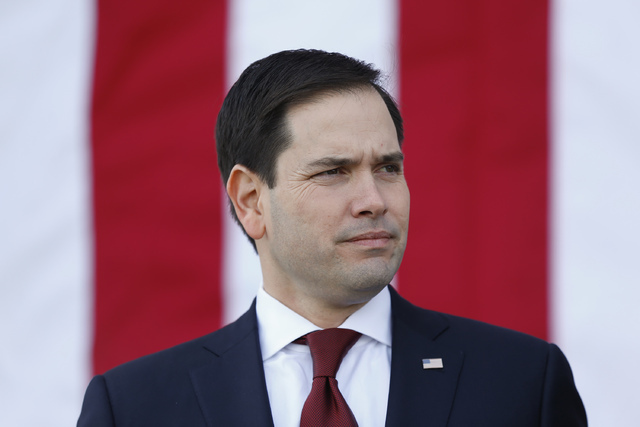 Polls show Rubio trailing GOP front-runner Donald Trump in Florida. Are we watching the fall of Donald Trump? So far, the Donald Trump campaign is built off playing good cop bad cop. When he announced he was running, Donald was very clear he was going to run a campaign unlike anyone had ever seen. 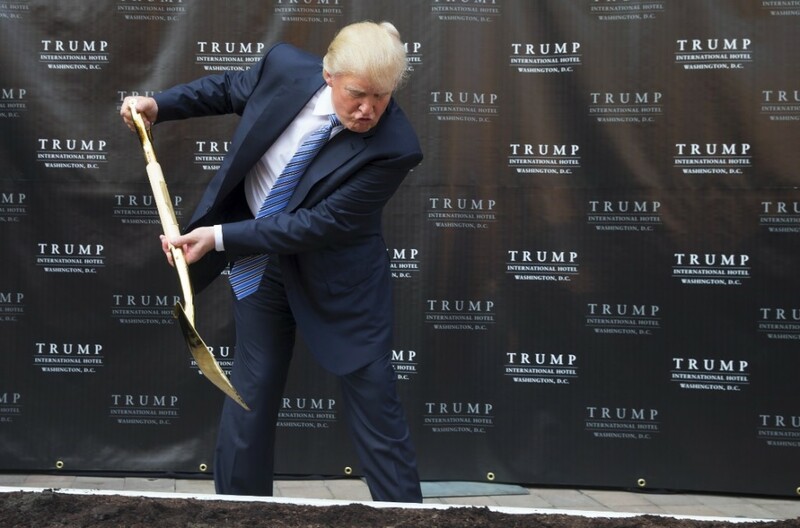 He was going to self-fund the entire thing, and by doing so he would prove to the American people he meant business and that he was the lone outsider separate from private interests and Washington lobbyists. At the beginning, people are it up! By and large, they still do. In the beginning, this strategy worked well among those who supported him. In fact, it worked in his favor to garner even more support which caused many to think he was unstoppable. The polls started to show a favorable turn toward Ted Cruz, and for some reason, he felt threatened for the first time. Now that Trump was not the top dog, being the Alpha male he is, he attacked. It’s the only natural thing to do for him at this point. Unfortunately, it was not a wise decision. It went against his original principle to run a clean campaign. This didn’t sit well with many fence-sitters. Now, because he entered bad cop mode, it put him in defensive mode. In doing so, he made a costly error to sit out of the debate just before the Iowa caucus. He took a gamble, and it proved to be harmful. He likely thought it would play out in his favor, once again establishing his ‘I’m not like the other guys’ strategy. The problem is that many viewed this as a childish temper tantrum. And it also brought out the Donald he tried so hard not to be. People already perceived him as being hungry for power and completely full of himself. Being the savvy business person he claims to be, a few thought he would adjust his strategy back to playing good cop. The last thing he wants to do is jeopardize his chance of doing well in New Hampshire. However, continuing the bad cop image has the possibility of doing more harm than good. Spouting off in a tirade, almost in a fit of rage, he stands the chance of tarnishing his image; one that he likely would not be able to correct during the election cycle. To Donald, nothing is more important than his image. If he doesn’t win in New Hampshire it would be a drastic blow to his image. 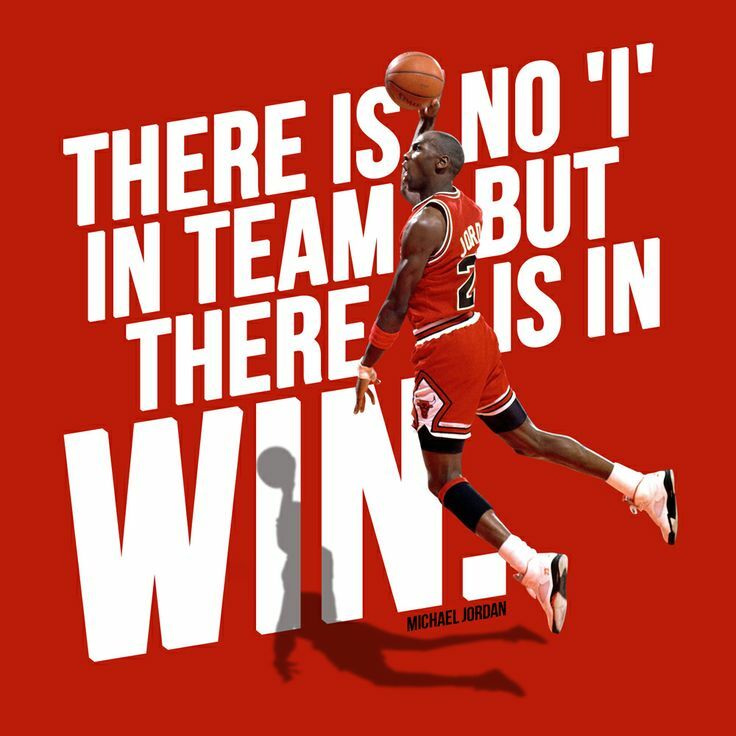 He wants people to think of him as a winner, not a loser or even the guy that came in second place. Ideally, for Donald Trump to continue and be a prominent figure in this race, he needs to refocus his campaign strategy. It’s over, right? I mean, now that the Iowa caucus is over, done, and decided, doesn’t that mean it’s over? Not so fast. Iowa is just the beginning of things to come. Before we get ahead of ourselves, how did Iowa play out? It was almost fitting for a tall tale. Or, a modern day David versus Goliath if you will. All the Trump’s men, and all the Trump’s polls couldn’t propel him to an assured victory in Iowa. For days and weeks leading up to the caucus Donald Trump was the for sure victor. But there’s one little party of the equation he forgot. Just because you are a larger than life figure, who can bring in huge crowds, and you do well in the polls, does not mean you’ll win. That’s where Ted Cruz out-worked him. Ted understands that this is about the people. He went to every county speaking to small groups and connecting on a personal level. Why didn’t any of that factor into the polls? Simple. Cruz and his supporters were out working and campaigning. They didn’t have time for, and really didn’t care for poll numbers. What did all of it lead to? Victory in the coveted Iowa caucus. 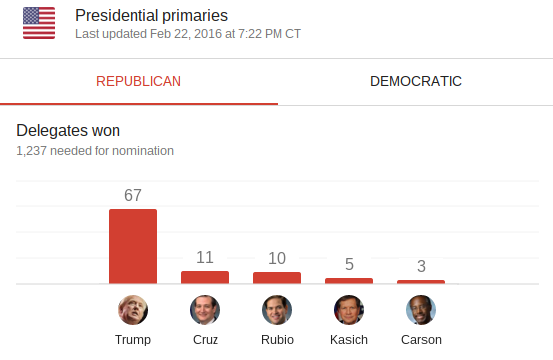 Sure, Trump came in second and Rubio came in third. 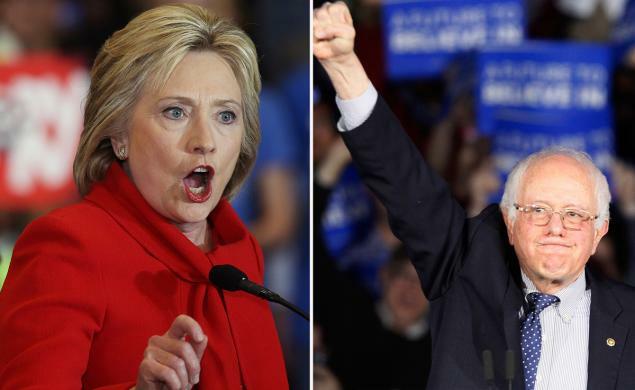 But it’s the hope of every campaign to carry the momentum from Iowa and into the next states. Ideally, Cruz would love for momentum to be on his side to have a good showing in New Hampshire. 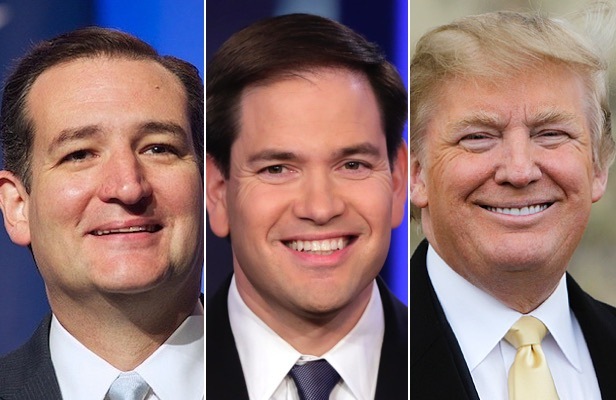 But there are two other candidates to keep an eye on, Trump and Rubio. Rubio is thought of as the wild card in the race, but he stands a good chance at placing first or second. Trump on the other hand really needs a win for his corner to justify continuing. Trump is relying on large crowds and high poll numbers to keep him going. However, after coming in second, behind his Iowan rival, he is likely to adjust his strategy. Then again, maybe this is part of the ‘at of the deal,’ to take things so far past where people think it should go and then back off just enough to get it right where you wanted originally. Trump had played both hands of the deck. When he first started campaigning he played mister nice guy, and as Cruz proved to be a real threat he became the attack dog. It is likely he will back off and pay mister nice guy again because in his heart he knows that side worked better for him. So what about that wildcard Rubio and his Marcomentum? Well, he cannot be discounted as he’s viewed as the establishment choice. And, based off of the data from the votes for Rubio versus the other candidates, he very well could have came in second putting Trump in third. Had this happened, it’s hard to see s path forward for him to continue. What can we expect going into New Hampshire? Honestly, the way this entire election cycle has gone, it’s difficult to determine. Momentum could favor Cruz. But given the surge from Rubio, he could jump ahead. 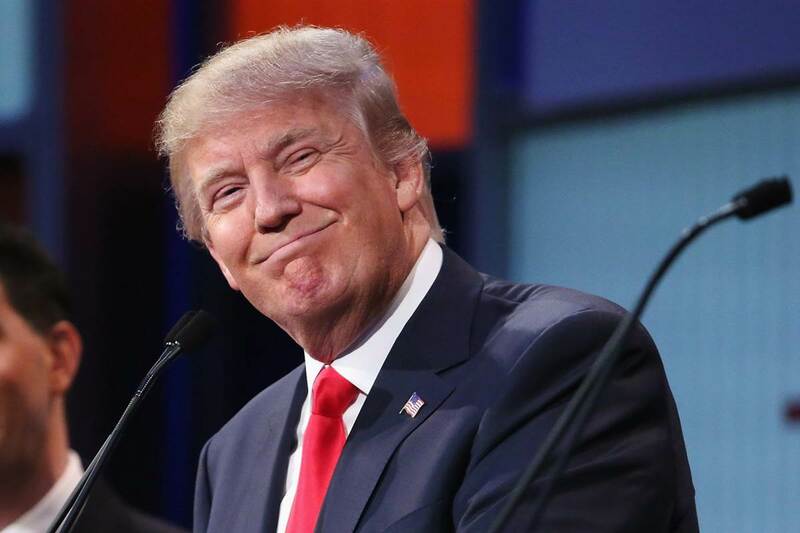 However, Trump has been polling well and could likely clinch the top spot. Again, the way things have played out this cycle, who knows. Instead of attending the Fox News debate, Donald Trump has elected to join forces with CNN to telecast a charity event for veterans. Raising funds to help support our veterans is a noble cause. But… there is a great deal of confusion with the website that Trump had built. At first glance, the website looks rather simple. But there are a few things worth noting! Check out the upper left-hand corner and you will notice the Donald J. Trump Foundation logo. Easy to dismiss since it is his foundation that set up the website. So… let’s do that. Let’s just dismiss that one. However, take a good look at the bottom right-hand corner. You’ll find the standard notice that any 501(c)(3) foundation will put on a website. Why would any candidate want to collect your email address? They want to be able to send you campaign material. But, let’s stick with the website. Again. It’s a very simple site. 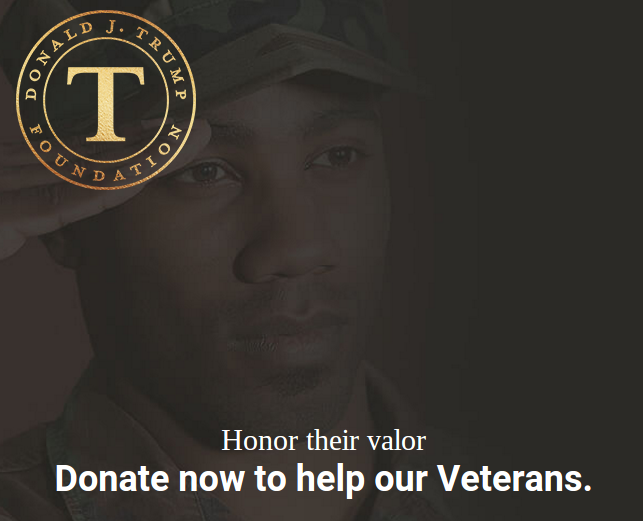 So simple that all the money goes to the Donald J. Trump Foundation without disclosing up front what veteran organizations will receive any of the money. Weird, right? And, what happens when the campaign is pushed on the issue? Trump’s spokesperson was asked that very question in an interview with CNN. So what if Donald Trump is skipping the debate. But won’t it hurt him? Maybe. Then it will help him? Maybe. Either way you want to look at it, Trump has already won. That’s right. He already won before the debate even starts. For the Donald it’s all about staying in the spotlight. And, it doesn’t matter if it is perceived as good or bad. He knows any publicity is good publicity. He’s proved this strategy a few times already. Take Ted Cruz as an example. Donald Trump brought up the birth issue for a reason. He even explained it during a previous debate. 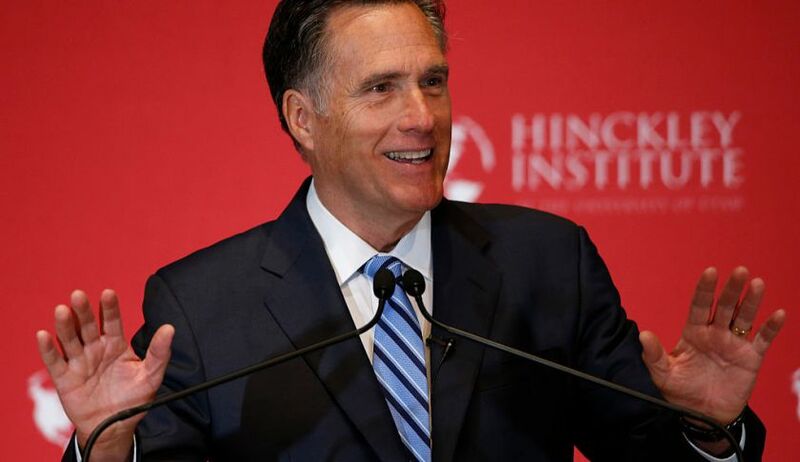 If, and it is a big if, he was too pick Cruz as his running mate should he become the nominee, he doesn’t want the democrats to be able to hang it over their heads. If it is proven that Cruz is not eligible he’ll be able to say he told you so. He spun it so that he can take credit either way it gets brought up. Back to Trump skipping out on the debate. Trump wins without attending because he’s positioning himself as the outsider who isn’t owned by anyone. Not even the big time media can tell him what to do. On top of that, he’s hurting Fox News by then losing out on money from advertising. That’s what keeps them in business. Donald understands this. He also understands that if he is able to hurt their ratings by going on CNN and having them simulcast his veteran benefit event, he shows that he is definitely the only one to beat. If any other candidate tried to pull off what Donald Trump is doing, it would be the end of their hopes of ever winning an election again. Ted Cruz sat down with Howard Kurtz for an interview on Fox News slamming ‘partisan’ mainstream media. HOWARD KURTZ: When you bash the media, and you have been treated unfairly at times portrayed as somebody who scares little children, but isn’t that in your interest to do that? Your base loves that. They don’t like the mainstream media. 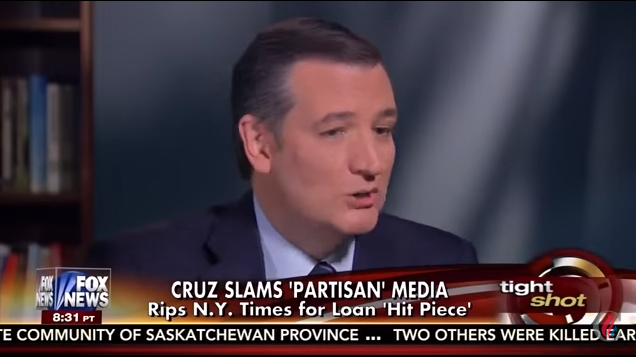 TED CRUZ: There is a reason they don’t like the mainstream media because they are partisan liberal democrats. CRUZ: Almost without exception they have a partisan agenda. And we understand – let’s take a substantive issue: police officers. If you have one police officer somewhere who does something he shouldn’t have, the press will breathlessly report on this terrible, horrible police officer and all the democratic politicians will jump in and demonize and vilify the cops. Let me ask you something? How come the press doesn’t tell stories of heroism? The great news is we don’t live anymore in a world of three networks that have a stranglehold on information. We have got the internet. We have got the Drudge Report. We have got talk radio. We have got social media. We’ve got the ability to go directly around, and directly to the people.